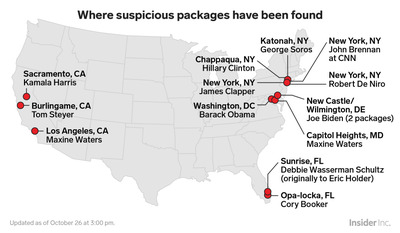 Earlier Friday, federal authorities arrested Cesar Sayoc Jr., 56, in connection with the suspicious packages, whose intended recipients included former President Barack Obama and former Secretary of State Hillary Clinton. 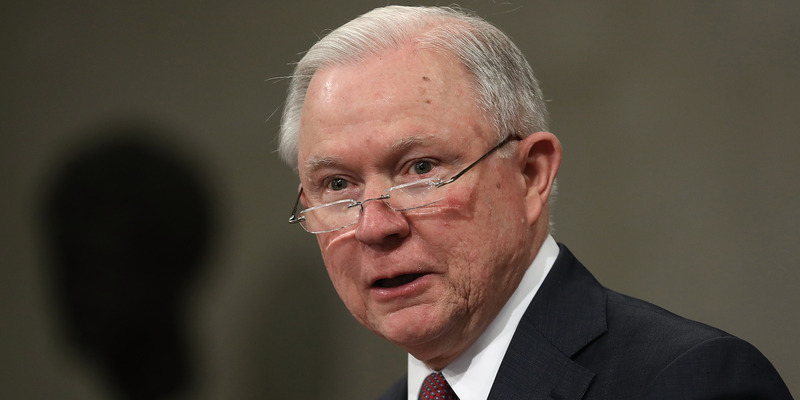 Sessions said Sayoc faces up to 58 years in prison if found guilty. Cesar Sayoc Jr., 56, of Florida, was arrested Friday morning. Authorities have found more than a dozen suspicious packages targeting public figures and prominent Democrats, including former President Barack Obama, former Vice President Joe Biden, and former Secretary of State Hillary Clinton. Why were the bomb scares targeting Democrats? 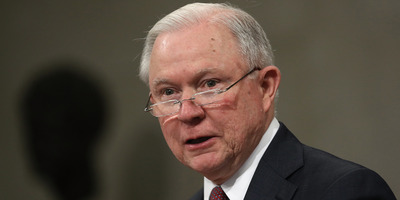 “But that would be determined by the facts as the case goes forward, and I’m not able to comment on that,” Sessions added. Sayoc, who was reportedly questioned by FBI agents with the Joint Terrorism Task Force after his arrest, faces up to 58 years in prison if found guilty, Sessions said.